October 5, 2015 – WWE® (NYSE: WWE) announced today that tickets to the pop-culture extravaganza, WrestleMania 32, will go on sale Friday, November 6 at 10 AM Eastern/9 AM Central. WrestleMania 32 will take place Sunday, April 3, 2016 at AT&T Stadium in Dallas, TX, and will be broadcast live around the world on WWE Network. Ticket prices range from $18-$1,180 (taxes included). There will also be a limited number of “Gold Circle” VIP Packages available for $2,360 (taxes included). The Gold Circle packages include seating in the first eight rows ringside, a Gold Circle VIP Stadium Entrance, and a commemorative WrestleMania 32 take-home folding chair. Tickets can be purchased through all Ticketmaster outlets,www.ticketmaster.com, by calling 1-800-745-3000, or at the AT&T Stadium Ticket Office. All tickets are subject to service charges and facility fees. 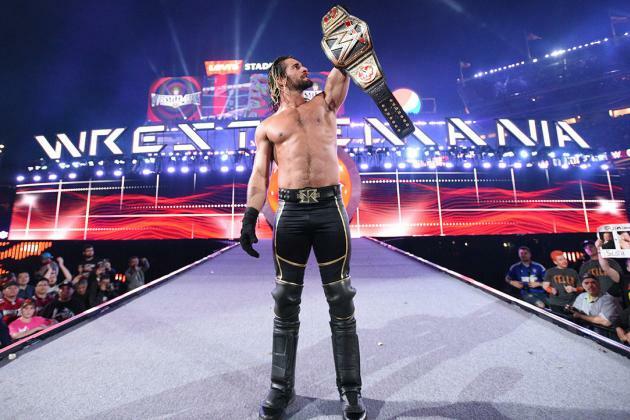 Over the past seven years, WrestleMania has generated more than half a billion dollars in cumulative economic impact for the cities that have hosted the event. WrestleMania is more than just a one day event; it is a week-long celebration as WWE will take over the Dallas region during WrestleMania Week. 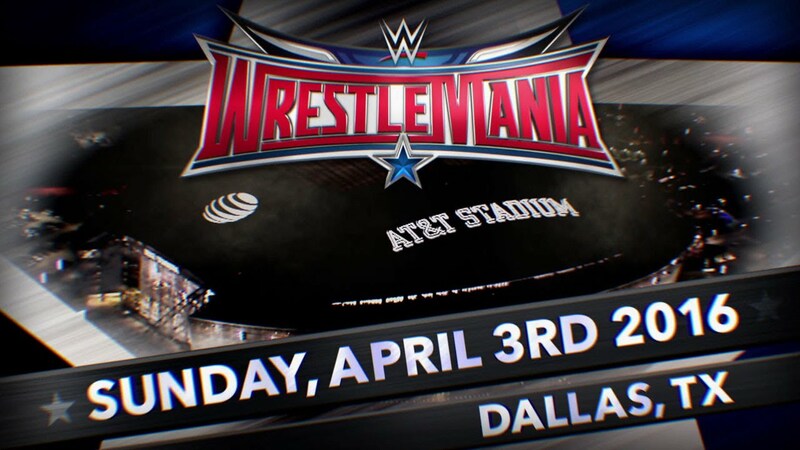 In addition to WrestleMania 32, other activities will include: WrestleMania Axxess – WWE’s four-day, interactive fan festival at the Kay Bailey Hutchison Convention Center; WWE NXT® at the Kay Bailey Hutchison Convention Center Arena; the 2016 WWE Hall of Fame Induction Ceremony at American Airlines Center; Monday Night Raw® at American Airlines Center and more than a dozen activities designed to give back to the host community including “Be a STAR®” anti-bullying rallies, hospital visits and Make-A-Wish events. Additional information on these events will be announced in the future at www.wrestlemania.com. This entry was posted on Monday, October 5th, 2015 at 12:38 pm	and is filed under Events, News. You can follow any responses to this entry through the RSS 2.0 feed. You can skip to the end and leave a response. Pinging is currently not allowed. « ‘MacGyver’ Going to Re-boot for CBS!!! [Pearl is heading towards maelstrom] Captain Barbossa! We need you at the helm! [turns to her] Aye, that be true!